On Monday, September 15, 2014, the 2nd public workshop was held as part of developing a community vision for the redesign of Sinatra Drive. 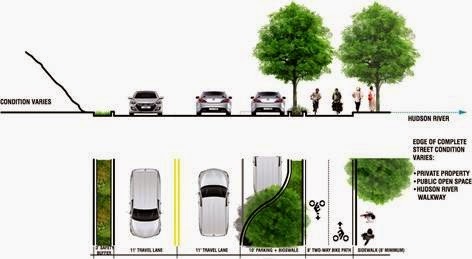 Members of the community are invited to visit www.hobokennj.org/sinatradrive to review project materials and complete an online survey to provide their feedback on various design alternatives. The survey will be open through Friday, October 3, 2014.